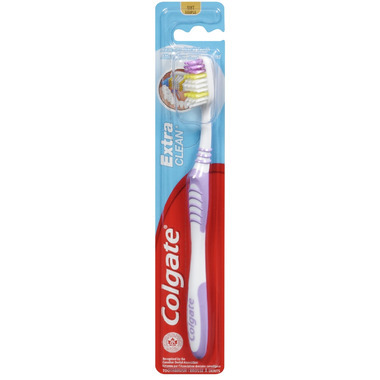 The Colgate Extra Clean Toothbrush cleans teeth and freshens breath. The Multi-level bristles have dual cleaning tips to easily help reach the back teeth and clean hard-to-reach areas. Includes tongue cleaner to remove odour causing bacteria.